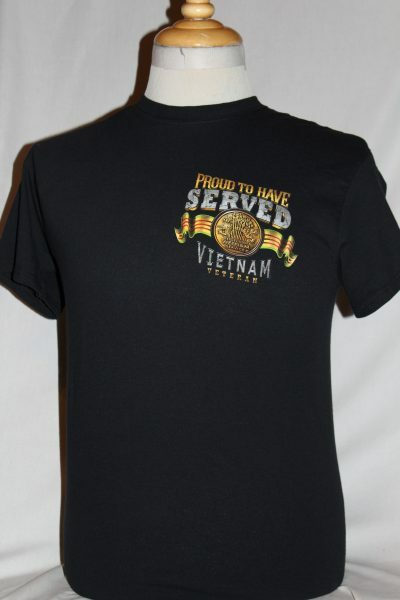 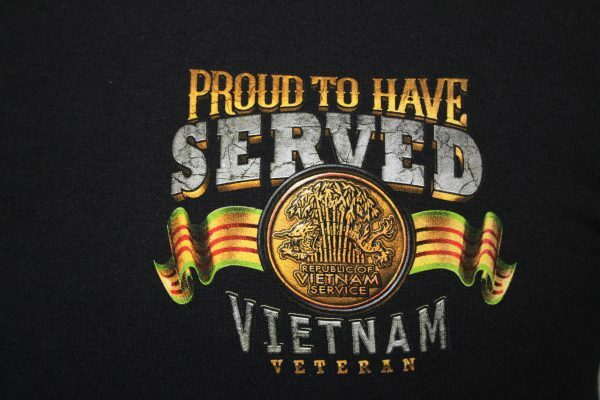 The Vietnam veteran T-shirt is a two sided print in black. 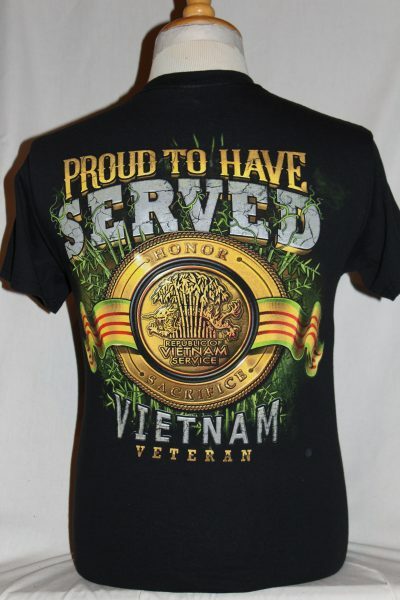 Front Design: Left chest image of dragon, jungle foliage, Vietnam Service Ribbon, and text. 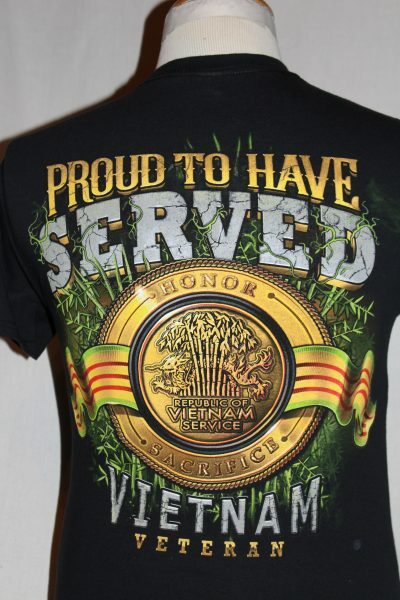 Back Design: A larger image of the front design.